My first release under the ‘Mint’ moniker also kicked off the release schedule for Boltfish Recordings. 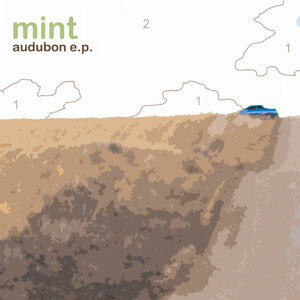 Audubon E.P uses twinkling melodies and irregular beats to evoke the open expanses of the american mid-west, and was inspired by the 3 month period I spent on a farm in the town of Audubon, Iowa. One of the EPs most notable tracks “Albert The Bull” derived its name from the town’s ‘claim to fame’, a huge concrete statue of a bull (affectionately named Albert), which not only harks back to the town’s historical roots as a cattle farming one, but also enabled it to hold the the title of ‘World’s Largest Bull‘.